Yamaha WorldSBK rider Michael van der Mark will be riding Valentino Rossi's YZR-M1 at MotorLand Aragon for Round 14. Rossi is making good progress with his rehabilitation process, but isn't expected to be able to compete again before the Grand Prix of Japan at Motegi in October. 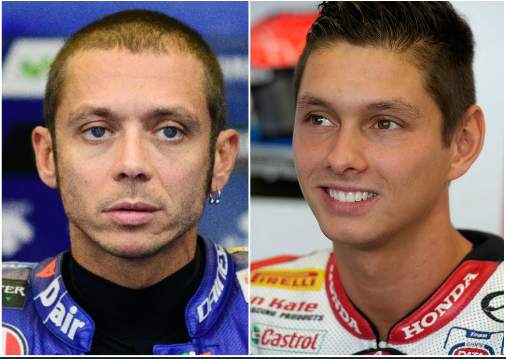 For Aragón, Van der Mark will be backed by Rossi's usual crew. This opportunity will provide the 2014 WorldSSP Champion with a similar MotoGP™ experience to fellow Yamaha WorldSBK rider and 2017 Suzuka 8 Hour winner Alex Lowes last year. Unlike Lowes, who had the benefit of some testing mileage in Brno, Czech Republic, prior to taking part in the MotoGP weekends, Van der Mark will debut in the premier class on the YZR-M1 without any prior testing. Nevertheless, the three-time Suzuka 8H winner is well accustomed to the demands of working for a factory team. The Dutchman is also no stranger to the MotoGP paddock, having competed in seven 125cc Grands Prix in 2010, and in the 2011 Moto2™ race in Assen, the Netherlands. Michael van der Mark: "I'm excited to be given the opportunity to ride the YZR-M1 at the Aragón MotoGP round. I’ve never ridden a MotoGP bike before, so this will be a completely new experience for me. I’m very curious to see what it feels like to ride on such a machine. I realise that it won’t be easy going straight into an official practice session without any prior testing. Nevertheless, I’m very grateful to Yamaha for the opportunity. I’m sure it will be a great learning experience." Michael van der Mark: "Saya senang diberi kesempatan untuk mengendarai YZR-M1 di putaran MotoGP Aragón. Saya belum pernah mengendaraii motor MotoGP sebelumnya, jadi ini akan menjadi pengalaman yang sama sekali baru bagi saya. Saya sangat penasaran untuk melihat apa rasanya mengendarai pada mesin tersebut. Saya menyadari bahwa hal itu tidak akan mudah pergi langsung ke sesi latihan resmi tanpa pengujian terlebih dahulu. Meski begitu, saya sangat berterima kasih kepada Yamaha atas kesempatan tersebut. Saya yakin ini akan menjadi pengalaman belajar yang hebat. "